Another instalment in the Madame Pamplemousse series, another whimsical adventure, another fabulous Parisian shop … This time we are introduced to a little shop in Isle Saint-Louis which sells all sorts of sweets and chocolates. The owner is Madame Bonbon (it figures). We meet this Madame as she comes across a very upset little girl hiding in Notre Dame Cathedral. This little girl is of course our little heroine, Madeleine, who is having terrible problems at school at the hands of new girl Mirabelle who seems set on making her life hell. She feels too ashamed to talk to her best friends Madame Pamplemousse and her cat Camembert. So when Madame Bonbon offers solace in the form of a crescent moon chocolate, Madeleine takes it, despite having an odd feeling that something is just not right. 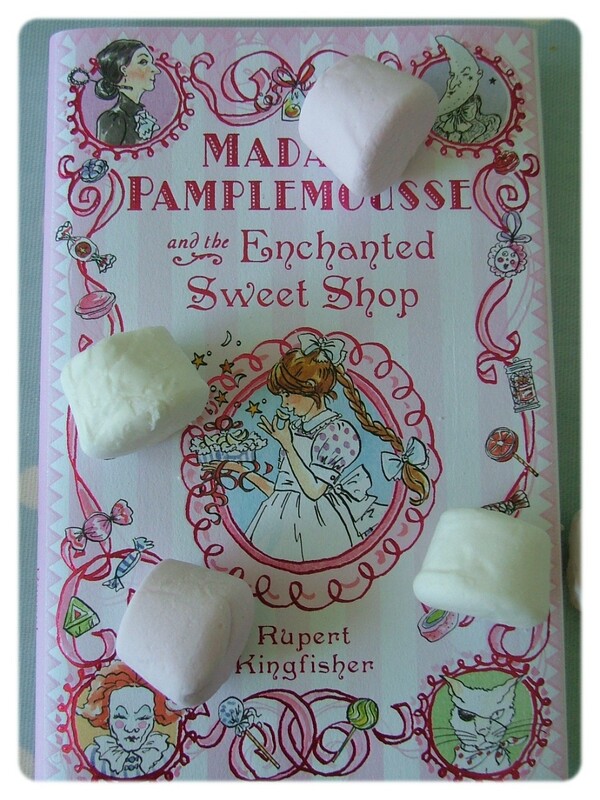 The sweets are in fact bewitched and allow Madeleine to forget her troubles for a while, until this wears off and she is left feeling worse, and wanting more. As she struggles to control her addiction to the sweets, she finds herself slipping into an enchanted world from which there seems to be no escape, and which under the glossy appearance, turns out to be rather scary. There is not much more I can say about this series which I haven’t already said (see here)! I love it, and this third volume is as charming as ever, wonderfully quaint and clever. But I found it much darker than the other two in the way that it touches on very real themes, with specific emphasis on bullying. Madeleine suffers the most upsetting form of bullying at the hands of new girl Mirabelle, and the times when she is outcast at school will feel really real to many young readers (it even reminded of some fairly painful episodes of my own childhood). I also was quite surprised at the hard drug analogy: the feeling better than worse, the seeing things, the being dragged into a world that looked rosy but underneath is evil and twisted … it felt pretty intense at some point! I know many children will not get it at this level but I think they will still get some inkling about how wrong it is to follow strangers and accept anything from them and the consequences that might occur if they do. So although the story is much darker, I personally welcomed this development, although I have to say the mermaid might be a tad too scary for some seven year-olds. 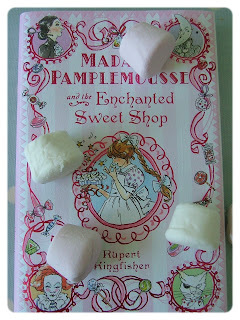 I enjoyed learning more about Madame Pamplemousse’s past too. The book itself is beautiful, with its bijou size and its wonderfully dainty style, and makes such a lovely gift, which will be enjoyed by children and adults alike. I must get myself a hardback copy of the second volume (I only have the paperback) so I can have the whole series sitting prettily on my shelf! I just hope there is more to come!